Well as the old saying goes, you can’t compare apples to oranges. Oh and by the way, we need both! In most cases, automatic sprinklers and clean agent fire suppression systems are used for completely different purposes. Response time and down time, that’s the answer. In the time that it takes an automatic sprinkler system to activate, critical equipment and expensive assets are lost. See figure below. Now, don’t get me wrong… Century Fire Protection believes in sprinkler systems. They are a very large part of what we do here. Sprinkler systems save lives and building structures. Furthermore, they are highly reliable. 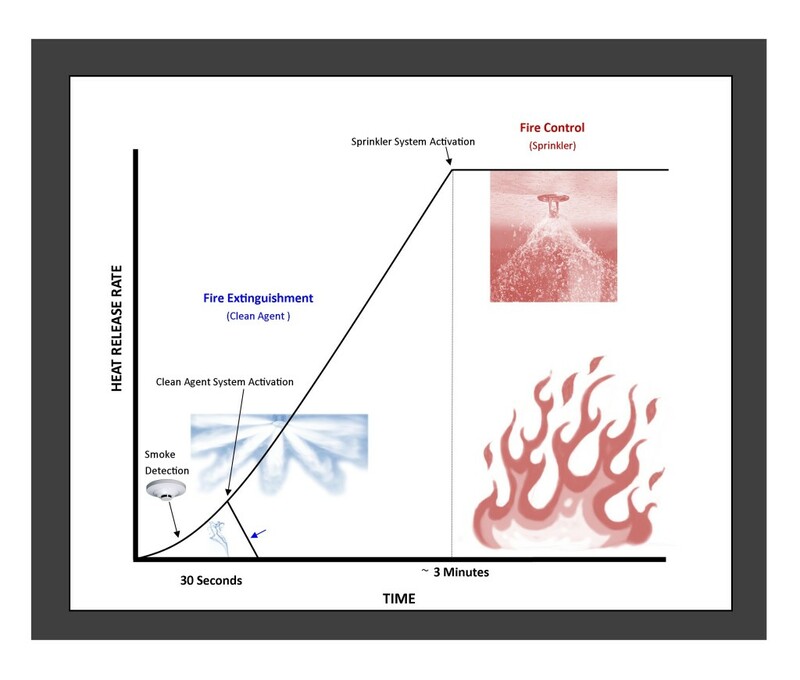 We are just suggesting that when you have high-value assets, mission critical operations, irreplaceable art, rare books, expensive manufacturing/process equipment and/or downtime isn’t in your vocabulary, you might try clean agent fire suppression. For more info about clean agent or other special hazards fire protection systems contact our Special Hazards Division. This post contributed by Tiffany Konenkamp, the Service Operations Manager of the Alarm & Special Hazards Division at Century Fire Protection.